'Twickenham Park, Middlesex - By Mr WILLOCK, at Garraway's, on Wednesday the 15th of May, in Lots of various sizes, unless previously disposed of by Private Contract in One Lot. 'The very valuable and eminently beautiful FREEHOLD ESTATE of TWICKENHAM PARK, most delightfully situate on the Bank of the Thames, between Isleworth and Twickenham, ten miles from London, in the county of Middlesex, late in the possession of the Right Honourable Lord Frederic Cavendish, deceased; with lawns, plantations, pleasure grounds, green house, icehouse, excellent walled kitchen garden, farm house, barns, and all requisite farm buidings, paddock and inclosures of rich meadow and arable land, containing altogether upwards of one hundred and forty acres.- The estate is perfectly compact, and extends along the bank of the Thames, from Isleworth to Richmond Bridge; the grounds are most happily disposed, and ornamented with a profusion of valuable shrubs, and a variety of timber trees of singular elegance and magnitude, and the views of the bridge, the town and the hill of Richmond, with the Royal gardens on the opposite bank of the river, give an additional beauty to every part of the premises, which are calculated for a residence of the first distinction in the kingdom, or for the speculator to divide into lots of a few acres each, for the erection of villas, and for which the situation is peculiarly eligible and inviting. 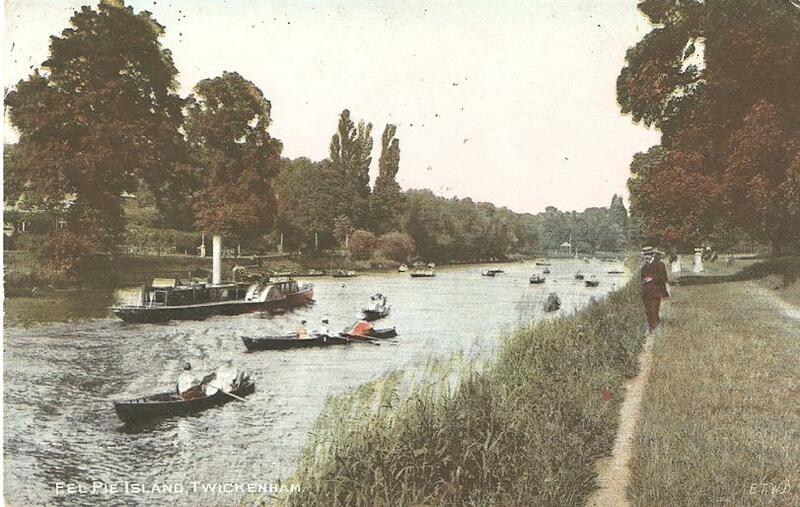 '...Twickenham, in Middlesex (...), a handsome populous village, pleasantly situated on the river Thames, at the distance of ten miles from Hyde Park Corner. 'It is three miles, two furlongs long, one mile and a half broad, and in compass nine miles, six furlongs. 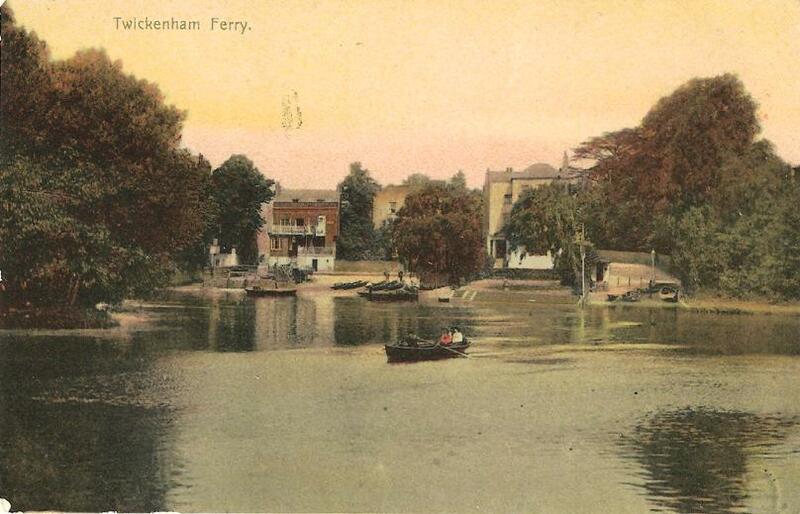 'According to the Return of Population 41 George III, 1800, Twickenham contained 3,138 inhabitants. 'The church was formerly appropriated to the Abbey of St. Valery in Picardy, and a vicarage was ordained and endowed, of which the abbot and convent were patrons. On the suppression of the alien priories, William of Wickham procured the rectory and advowson to be made part of the possessions of his newly-founded college at Winchester; the warden and fellows whereof exchanged it with Henry VIII for the manor of Harmondsworth; after which Edward VI presented it to the dean and canons of Windsor, who have ever since continued its patrons. The church is dedicated to the Virgin Mary. The tower is ancient, and is 60 feet high. The body of the church was rebuilt by subscription 1714, John James being the architect. It is a handsome brick building of the Tuscan order, and consists of a nave and two aisles. It is 88 feet long, 44 feet wide, and 40 feet high. In 1605 sixty-seven persons, and in 1665 twenty-four persons, died of the plague in this parish. The Countess of Manchester, buried Oct. 28, 1658. Batty Langley the architect, Sept. 14, 1676. Several persons from the camp on Hounslow Heath, 1686. Sir William Berkeley, July 13, 1677. John Lord Berkeley, Baron of Stratton, Sept. 5, 1678. Charles Lord Berkeley, Sept. 21, 1682. John Lord Berkeley, March 5, 1697. Christiana Baroness Berkeley, Sept. 1, 1698. Lady Berkeley, July 21, 1707. Sir Godfrey Kneller, the eminent painter, Nov. 7, 1723. Alexander Pope, Esq., the celebrated poet, June 5, 1744. Sir Chaloner Ogle, Admiral of the Fleet, April 10, 1750. John Earl of Radnor, July 23, 1757. Lady Biron, Sept. 21, 1757. Countess Dowager Ferrers, March 25, 1762. Lady Sophia Pitt Pocock, wife of Admiral Sir George Pocock, January 7, 1768. Mrs. Catharine Clive, the celebrated actress, Dec. 14, 1785. Hon. Admiral John Biron, April 10, 1786.